Malayalam film Sudani from Nigeria which was highly appreciated by audience and critics will now be screened at Cannes festival this year. 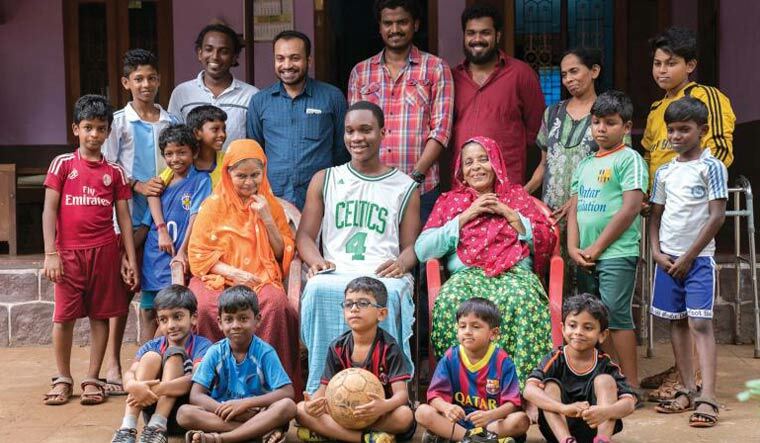 Directed by Zakariya Mohammed, Sudani from Nigeria is set in the backdrop of Malappuram and people's love for sevens football—a format extremely popular in north Kerala. Sudani from Nigeria stars Soubin Shahir and Nigerian actor Samuel Robinson in the lead roles. A post was put up on the official Facebook page of the film confirming its presence at the Cannes. “Sudani in Cannes!!!! At Palais on May 14, 2018 @ 9.15 AM #SudaniFromNigeria #Blockbuster,” the Facebook post read. Sudani from Nigeria was well-received and appreciated for the simple style of storytelling, realistic characters and portrayal of the warmth of human relations. Produced by Shyju Khalid and Sameer Thahir, Sudani from Nigeria got embroiled in a controversy over racial discrimination and Samuel Robinson being paid less. In a Facebook post, Robinson said he was paid far less than his co-actors who are “not half as popular, experienced or accomplished” as he is. He claims he came to know about it after his discussion on payments with other young actors. “I am of the opinion that this happened purely because of my skin colour and the assumption that all Africans are poor and don't know the value of money,” Robinson said. However, after the actors and the makers have come to terms and Robinson put up a post saying that it was a misunderstanding. Sudani from Nigeria , which released on March 23, is now all set for a Cannes screening—a proud moment for Mollywood and makers of the film.